We are pleased to announce that History Hub Ulster will be selling a 35mm Battle of Jutland Centenary lapel badge. 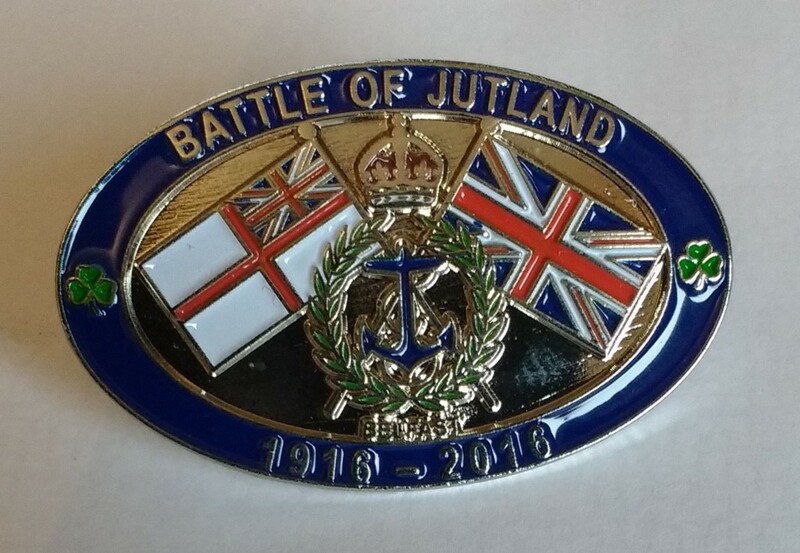 The badge aims to mark the Centenary of the Battle of Jutland on 31st May – 1st June 2016, the Commemoration of the Irish Sailor in the Great War and the opening of HMS Caroline in Belfast. THESE BADGES ARE NOW SOLD OUT.